Kawasaki Ninja 250RR Mono Yellow for GTA San Andreas. 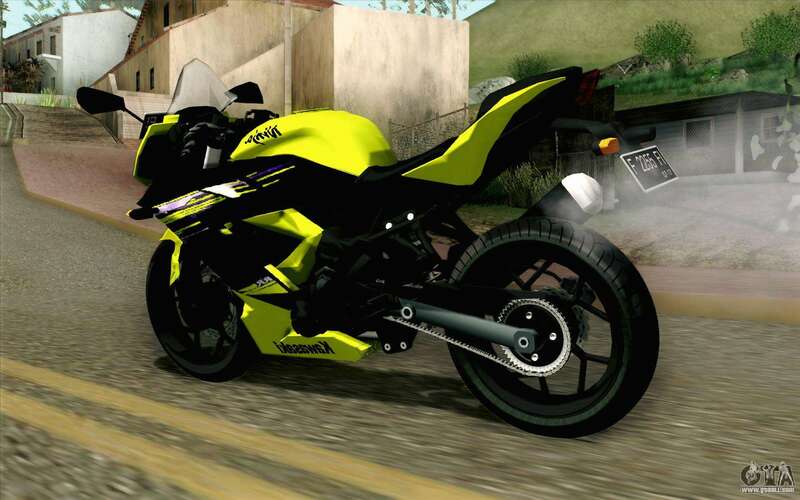 A great bike for Your game! 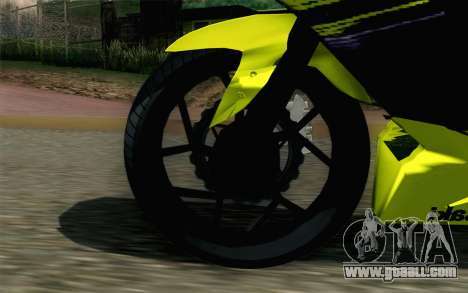 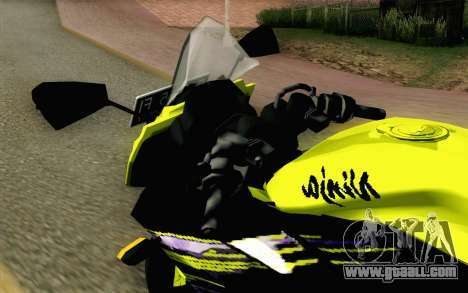 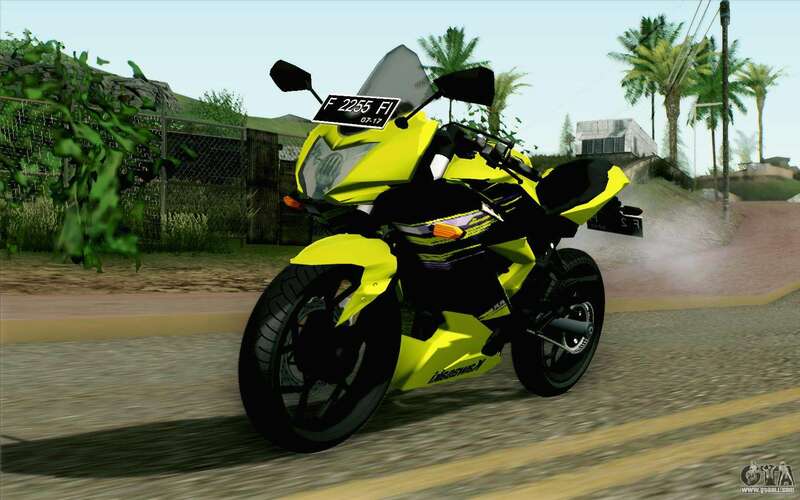 Download the mod Kawasaki Ninja 250RR Mono Yellow for GTA San Andreas please click on the links below. 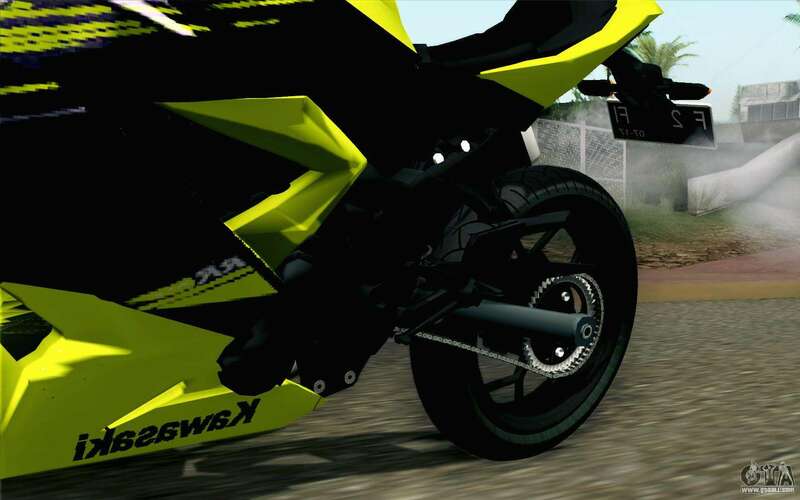 The model replaces the NRG-500, but thanks to our auto-installer, you can replace any game model!